Whether you’re bird watching, hunting, or even just taking an exploratory hike in the wilderness, a good pair of binoculars is one of the most useful things you can bring along with you. 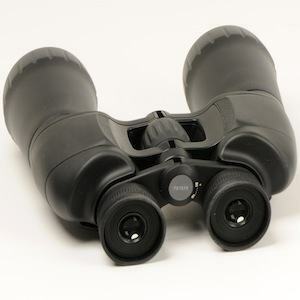 Though they’re not immediately thought of as a necessity by those who don’t have a direct need for them, binoculars can provide some true entertainment and fascination in the outdoors. If the fishing is slow, for example, checking out the herons across the lake or scanning the treetops for hawks is a great way to pass the time waiting for a bite. But in order to use them for situations like the above, you first have a pair. And, as with anything else, you should always research binoculars before you buy them. Read on for an elementary guide to binoculars for the outdoors. On the packaging of any set of binoculars, there is one piece of information more prominent than anything else. It’s a set of two numbers with an “x” between them (8×32, for example). The first stands for the magnification level of the lenses. So, for instance, if you’re looking at a pair of binoculars with 10 as the first number, you know that their magnification is 10x larger than the normal eye. The second number is an indicator of the objective lenses’ (the lenses on the front of the binoculars) diameter. As a general rule, the size of the first number relative to the second number correlates directly to how clear and crisp the image will be. As the relative size of the first number gets lower in comparison to the second number, the image quality increases. It’s a result of the fact that bigger objective lenses let more light in, making details of the image much easier for the eyes to pick up on. There are two separate categories that your binocular use can fall into. The first is bird watching and hunting. These activities generally require higher quality binoculars. Recommendations from the Audobon Birding Society call for binoculars that have a magnification of around 6 to 8 times for optimal bird viewing. Any higher, and you will likely have trouble locating animals in the scope, as you’ll lose points of reference when putting the binoculars up to your eyes. The same should be taken into account for hunting – where getting an animal in your binoculars’ viewing range quickly is paramount. If you’re getting binoculars for recreational purposes, on the other hand, the main specification to look for is sturdiness. Before buying a pair, get a feel for the binoculars you’re thinking about choosing. Dealers of higher end optics, as a rule, almost always let you test their products before making an investment in one. With a decent pair of binoculars, you can do anything from improve your general outdoor skills to develop an addictive new hobby. Plus, if the kids get restless on one of your excursions, they provide great entertainment. 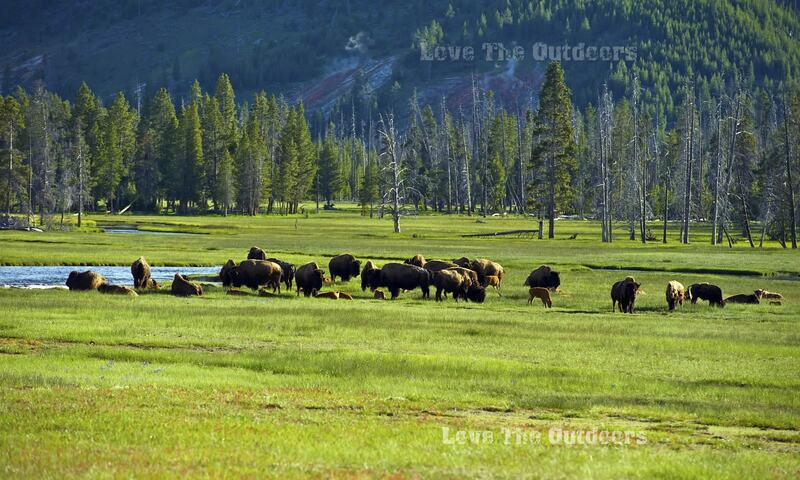 So the next time you head out, be sure to make room in your pack for some outdoor optics. Thanks for the brief guide to binoculars. Do you have any particular suggestions of models, especially for bird watching?